Tuka (which is derived from the Afrikaans word ‘toeka’) affectionately means ‘old times’. Offering a selection of antique and rustic furniture, Tuka’s mission in the industry is sourcing antique pieces from all over South Africa, handpicking only the best and making them available at affordable prices to everyone and anyone who has an eye for design and an appreciation for old school furniture. 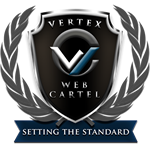 Copyright © Vertex Web Design 2013. All Rights Reserved.